Group Harbin Day Tours: City Sightseeing - HARBIN ICE AND SNOW FESTIVAL GROUP TOURS - Harbin Ice and Snow Festival English Speaking Small Group Tours, Harbin Winter Clothing Rentals ,Harbin City Group Tours, English Speaking China’s Snow Town Small Group Tours, Coach or Bus Tours, Harbin, China. 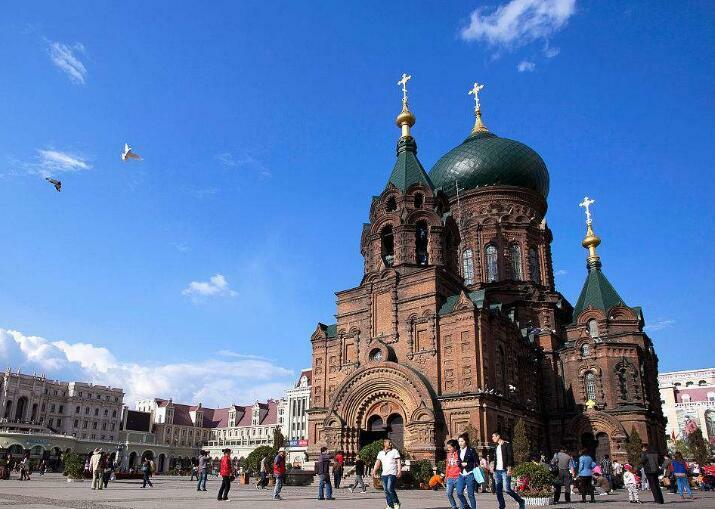 Day route : Zhongyang pedestrian street, Sophia church, Ice swimming show, Songhua river ropeway, Russian town, Laodaowai. Morning our local English speaking local guide will meet you at your Harbin hotel at 8:00- 9:00am, up to which Harbin hotel do you live, before tour our tour guide will inform you what time to meet you at Harbin hotel lobby. Then our tour guide will taken you go to Zhongyang pedestrian street to walking 100 years old street, you can enjoy different kind of architectures from different countries, it is open architecture art exhibition, long is 1450meters, also it is commercial zone, After this walking to sidalin park to visit flood control monument tower square and walk in river side park, you will see local elder people daily life, and also you will see local cold culture, swimming in the freeze river, swimmer will bare their body in the cold outside minus 22-28 under zero in winter, and jump onto Songhua river pool. Then you will take Songhua river cable car high 77 meter from river to the top to enjoy all attraction around Songhua river, then you will arrive Russian town to enjoy 100 years Russian people live place, then will back to walk on Songhua river( if songhua river allow to walk, if not will take cable car back) to the flood control monument square, continue to Sophia church square, will have lunch there, after lunch go to Laodaowai (old harbin) At last you will be transferred back to hotel.